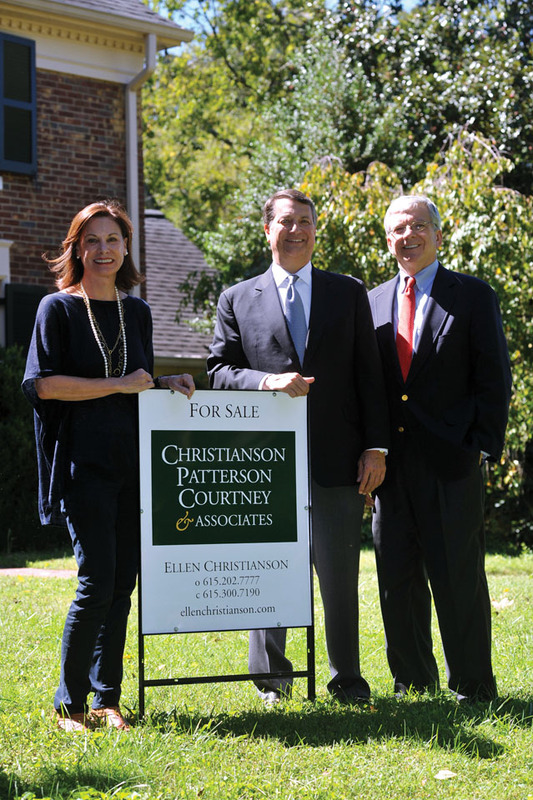 Christianson Patterson Courtney & Associates was founded by three real estate veterans who had known each other for decades and had a vision to create a truly client-focused real estate firm. 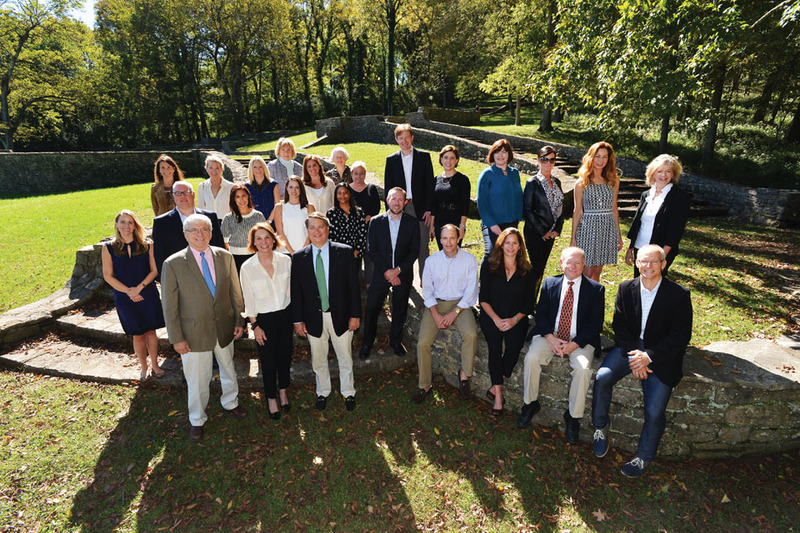 The firm’s origins go back 30 years, when Ellen Christianson co-founded a rising real estate company that evolved with the growth and sophistication of Nashville. Today, the 35-agent company, led by Christianson, Tommy Patterson and Richard Courtney, is recognized as one of Nashville’s most experienced and well-connected real estate firms. The three principals bring extensive industry leadership spanning the local, state and national Realtor associations, each having served in numerous governance roles and two as president of the local association. They have also played significant leadership roles in the growing Nashville community – from numerous board positions with nonprofit organizations to chair of the local power board. 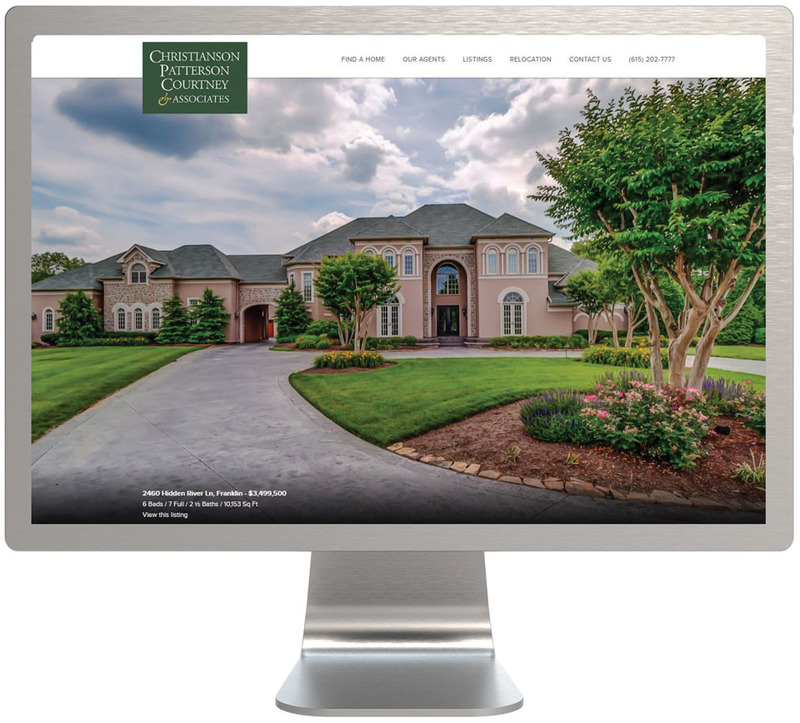 Christianson Patterson Courtney & Associates is a full-service firm, but sized to be nimble with a hand-selected group of committed Realtors who provide a higher level of personalized service. The firm’s 35 highly credentialed agents average more than 15 years of experience and reflect an innovative mix of top-producing individuals and teams structured to best serve their clients. CPCA’s Nashville office is conveniently located and staffed seven days a week by an administrative and marketing team that also manages the digital footprint at CPCAnashville.com and related social media sites. Christianson Patterson Courtney & Associates is a professional real estate company serving home buyers and sellers in Middle Tennessee. Their 35 credentialed agents – and dedicated office management and marketing team – bring an average of 15 years’ experience representing clients in the sale or purchase of their homes. Today’s complex real estate market requires diligent and skilled representation through the myriad steps required to select and close the sale or purchase of a home. CPCA’s credentialed agents guide clients through each step – from selection, offer and contract negotiations to financing, inspections, appraisal, insurance and closing. The firm also has a full-service property management division that serves investor clients and the rental needs of future buyers. CPCA’s hallmark is highly personalized service, tailored to each person’s or family’s needs. From first-time millennial home buyers to downsizing empty nesters, CPCA agents provide solutions to their clients’ home-buying and selling challenges. CPCA’s robust digital footprint provides convenient access to listings, advanced home searches, relocation information and agent experience. Professional agents bring a home search to life as they help bridge the gap between online research and finding the ideal home to meet clients’ needs. The Nashville MSA is growing, with more than 3,000 new residents moving to the area each month. While relocating to a new community can be overwhelming, Nashville has what buyers are looking for – whether they want to live in the city, the suburbs or the country. CPCA agents help narrow the search and find the community and home that meet each buyer’s needs and budget. Advance home listings and cost of living comparisons are tailored to individual needs to help identify locations that are the best fit. CPCA agents also play a key role in introducing new residents to much more than just properties for sale or lease. They provide everything newcomers want to know about the Nashville area – from recommendations for schools and camps to home cleaning, decorating and repair services. They also share their favorite restaurants, shops, parks, music venues, and arts and entertainment offerings. Brandon Edwards, CEO and Founder of Revive Health selected CPCA to handle all of the relocations for his growing firm. CPCA agents bring both experience and enthusiasm to help new residents relocate to the area. They all love living here and are eager serve as their clients’ go-to source for Everything Nashville. CPCA plays an active leadership role in its community. 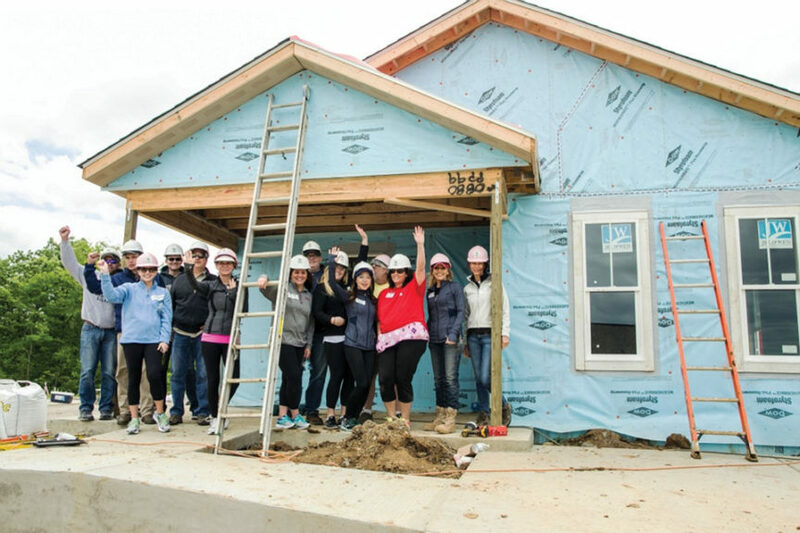 Through group volunteer projects, such as this local Habitat House build, the CPCA team is able to give back to the community and help Nashville families afford a place they can call home. The Realtors and staff of Christianson Patterson Courtney & Associates share a deep commitment to community service. 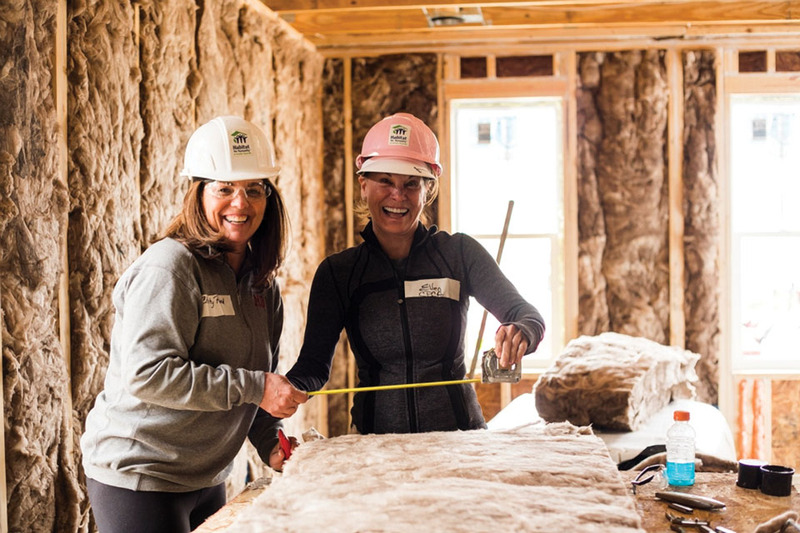 As a group, the CPCA team embraces at least two large service projects each year, helping build homes for Habitat for Humanity and collecting clothing and supplies for homeless guests at Room in the Inn. On an individual level, CPCA agents are some of Nashville’s most dedicated community volunteers, serving more than 50 nonprofit organizations.